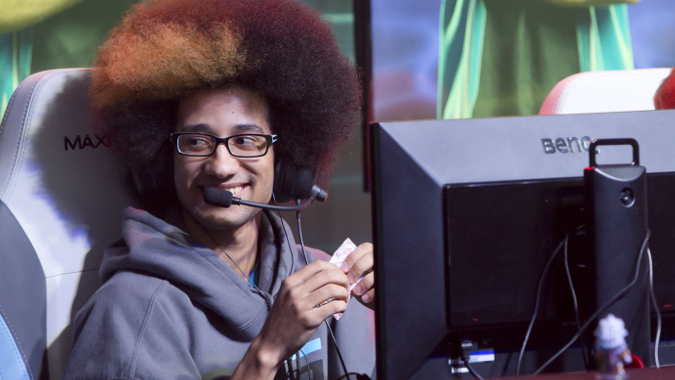 PAX Prime in Seattle is underway and so is the final Heroes of the Storm regional tournament of the North American fall season. These matches determine which team joins Murloc Geniuses in global competition to try keeping that BlizzCon trophy in NA. It’s going to be a heated weekend. Murloc Geniuses wasn’t a favorite going in, so the usual top flight teams are fighting to stay in the game. The Fall Regional Championship begins at noon CST on Friday, Saturday, and Sunday. ESL has a detailed match schedule on their Twitch page, which is the place to catch all the matches live from PAX Prime. As usual, the competition starts off with an A and B group stage, after which the top two teams in each group move on to the final bracket. Group A features Murloc Geniuses, Denial Esports, Dumpster Tier Superstars, and Team Name Change. Denial Esports shocked many by showing as poorly as they did last regionals. Featuring the remnants of Cloud 9’s disbanded squad, they added another member from that roster to hopefully strengthen the team. They have a tough first match against Dumpster Tier Superstars (a.k.a. gulDan’s Game in the first regional). Since Murloc Geniuses is going up against TNC in their first match it seems like they may coast to the finish line. Group B features Gale Force Esports, Naventic, Astral Authority, and Imported Support. Gale Force sniped Fan, possibly the most mechanically skilled player in the region, from Naventic immediately following the last series of qualifiers. This is the first time we’ll see both Naventic and Gale Force since the trade. If they go head to head, expect it to be brutal. Michael Udall and akaface on Gale Force are also up against their Heroes of the Dorm teammate Shot and his team Imported Support in their first match, making for a bunch of juicy story lines to watch. BlizzCon isn’t for two months, so it was good to see a new official tournament, the Nexus Games, announced this week. Though I do applaud them for trying to bridge the gap, the overall prize pool is a disappointing $10,000 per region, with the top team getting $5,000. It seems odd to complain that five large isn’t much money, but with five team members that’s a grand per player for essentially four weeks of work. That’s before you figure in a pro team’s managers, coaches, admin support, and taxes — if they win! Second place splits a mere $2,000. Since the community-funded competition we wrote about last week, Bloodlust, cracked $8,000 for its overall prize pool, I’d hope between ESL and Blizzard they’d offer something more substantial than that. If you need even more Heroes in your life, Super League is going on every weekend until the regional final October 1st. Competition this week starts Sunday at 5 a.m. CST and Tuesday at 6 a.m. CST. All the matches are broadcast on OGN Global’s Twitch.